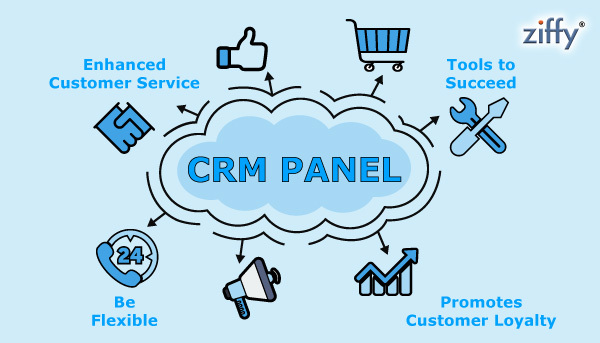 Customer relationship management (CRM) systems are designed to compile information on customers across different channels or points of contact between the customer and the company which could include the company’s website, telephone, live chat, direct mail, marketing materials and social media. CRM systems can also give customer facing staff detailed information on customers’ personal information, purchase history, buying preferences and concerns. Customers no longer care about what department you’re in, they simply want their problem fixed. Good customer service is very important for every enterprise and with the facility of CRM it will be easy for you to manage all the records together. All the old records are saved in the CRM as you don’t have any problem in remembering the last conversation. Be quick and attentive to a customer’s problems or complaints. In the past, some companies would simply say, ‘I’m sorry, it’s policy’ in response to a customer complaint. That answer doesn’t really work anymore, as customers are savvy enough to take their business elsewhere if they’re not getting the service and attention they want. You should set aside some strategic ideas for dealing with an unhappy customer, but you shouldn’t waver far from the old mantra that the customer is always right. The automated messaging services provided by CRM can help with continued information and data collected from previous stays can ensure those messages are tailored to a specific guest’s needs. The data found that customers saw the old points-based system as impersonal. Additionally, it wasn’t retaining customers as well as they hoped. The data indicated guests’ preferred personalization, quality service over speedy service and continued communication about the program. An organization can have all the systems and guidelines in place, but it is up to the people who are actually interacting with the customers to make sure those strategies are being properly utilized. Companies need to prepare their workforce for CRM. Make sure your workforce is aware of how the CRM software will be beneficial and provide opportunities for them to contribute and ask questions. An employee from each branch of your ventures should be part of the initial implementation team, so they can suggest what info would be best suited for their needs. Employees should be made aware that the data provided by a CRM solution will be to their advantage. CRM data should give employees day-to-day practices they can implement to reward, manage and assist clients. It will be available to help them determine which strategies will lead to satisfied guests and fewer concerns they would need to deal with.